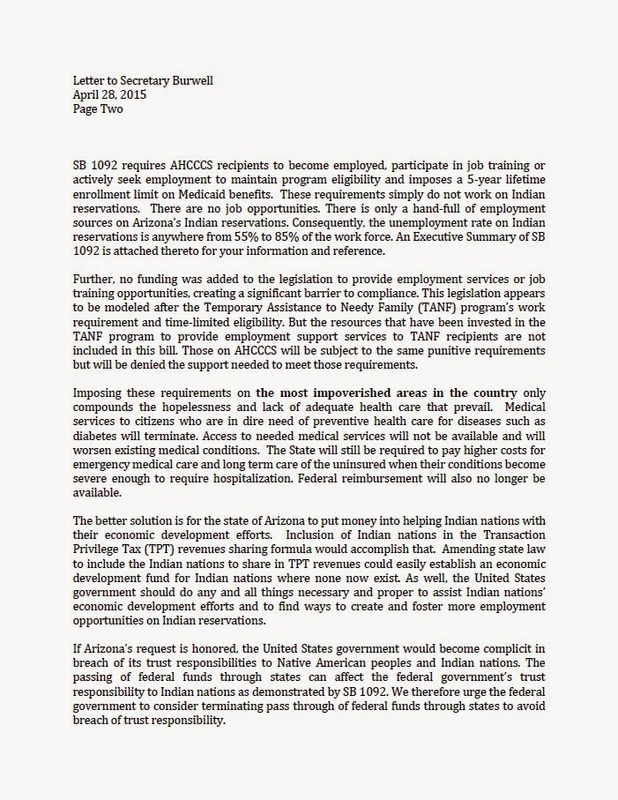 STATE CAPITOL, PHOENIX – Members of the Arizona State Legislature’s Native American Caucus recently sent a letter to U.S. Health and Human Services Secretary Sylvia Mathews Burwell urging her to deny Arizona’s request for a waiver of certain requirements for the Arizona Health Care Cost Containment System, the state’s Medicaid program. That request was sent pursuant to the recent passage of SB 1092. If the waiver is approved, the state would be allowed to place significant limitations on AHCCCS recipients. SB 1092 would require that AHCCCS recipients be employed, participating in job training or actively seeking employment, and it would impose a 5-year lifetime enrollment limit on Medicaid benefits. With unemployment rates on Indian reservations at record levels, Native American legislators are concerned that these proposed restrictions would have a devastating impact. 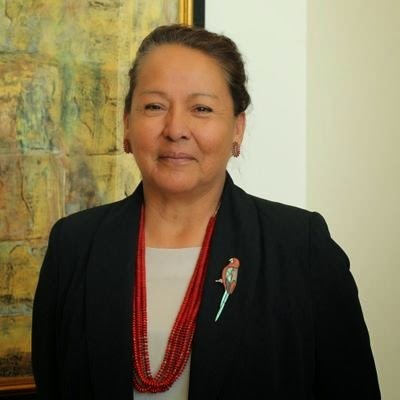 “SB 1092 would put an unbearable stress on Native American communities in Arizona and would represent a continuation of centuries of oppressive treatment of indigenous people,” said Rep. Victoria Steele, D-Tucson (District 9). Rep. Sally Ann Gonzales, D-Tucson (District 3), added that SB 1092 is also problematic because it sets employment requirements but does not provide any funding for employment resources. “I strongly oppose SB 1092 because it will harm hundreds of thousands of Arizonans. It provides no money for job training programs, which are desperately needed on Indian nations. And the 5-year limit on benefits does not provide people with long-term healthcare,” Gonzales said. Moreover, SB 1092 will reduce revenue to health care facilities on Indian nations, further harming Native American communities. 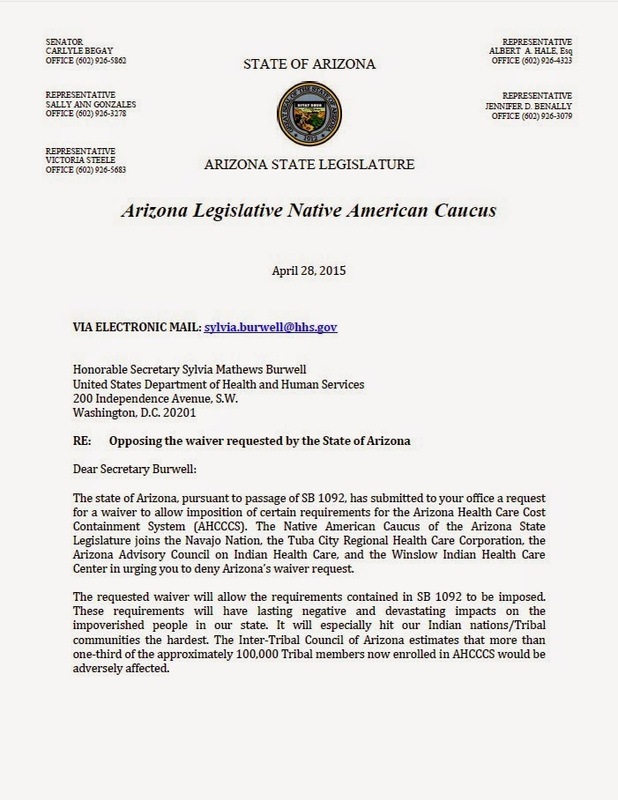 “SB 1092 will negatively impact Arizona Native American health care facilities by reducing the amount of revenue they receive. This may result in a decreased quality of care to all Native American children, families and the elderly. 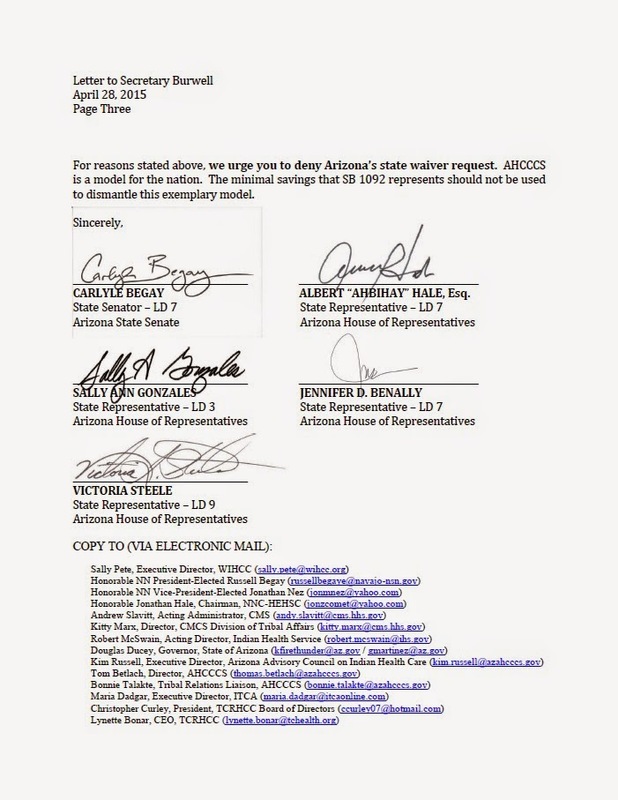 All Arizonans should be concerned about this legislation,” said Rep. Jennifer Benally, D-Tuba City (District 7). 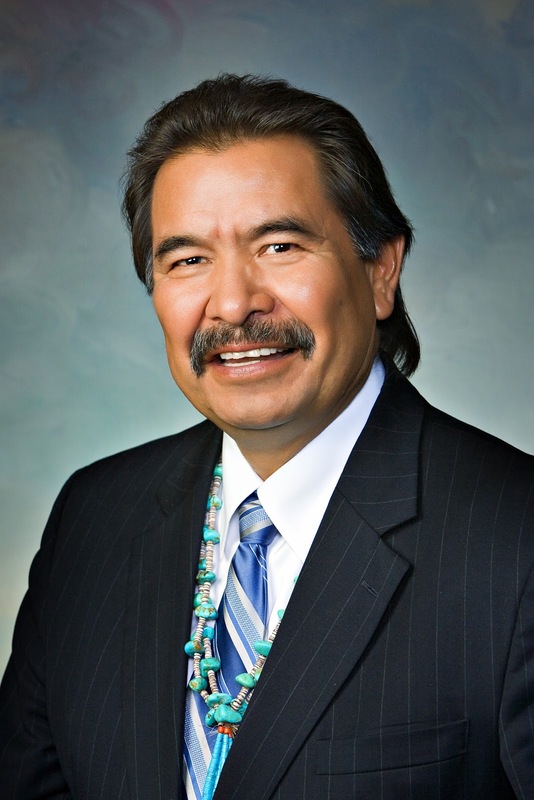 Sen. Carlyle Begay, D-Ganado (District 7), agreed that SB 1092 will affect health services and that the consequences of the law would disproportionately burden Native Americans. Rep. Albert Hale, D-St. Michaels (District 7), acknowledged moving people off government assistance and toward self-sufficiency is an admirable goal, but not if the process leaves people without the care they need. All five members of the Native American Caucus voted against passage of SB 1092. The letter to Secretary Burwell can be found below.